5.5 oz. Bottle of BBQ Rub. This is what we use on all of our Meat products. It is even great on fish! Use this rub, and then hit the grill! 6oz. Bottle of Burger Seasoning. This is super easy to use! Sprinkle on your burger and then hit the grill! Makes mouthwatering burgers every time! 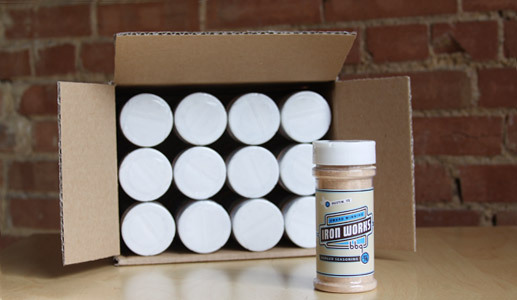 One pound of the Iron Works BBQ Rub. 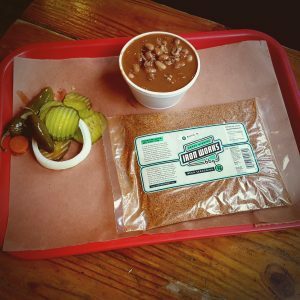 Whether you are ordering for a private label or having a backyard blow out, the Iron Works BBQ makes every event tasty! 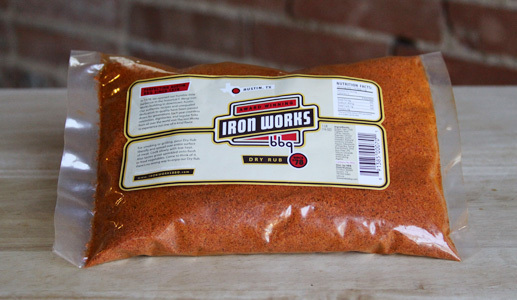 One pound of the Iron Works BBQ Bean Seasoning. 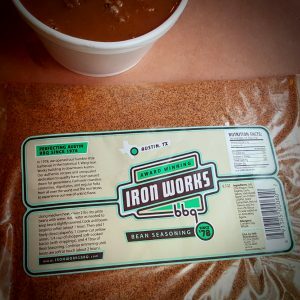 Add 2 Tablespoons of our Iron Works Barbecue Bean Seasoning for each pound of dry beans you are cooking for that classic Iron Works Barbecue Bean taste. 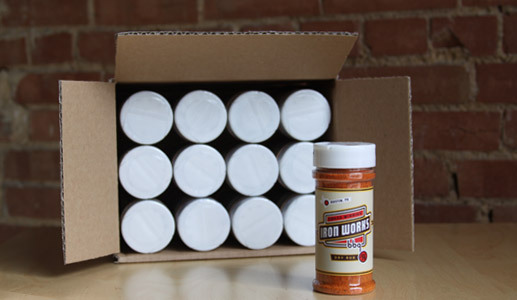 One pound of the Iron Works BBQ Chili Seasoning. Whether you are ordering for a private label or having a backyard blow out, the Iron Works BBQ makes every event tasty! 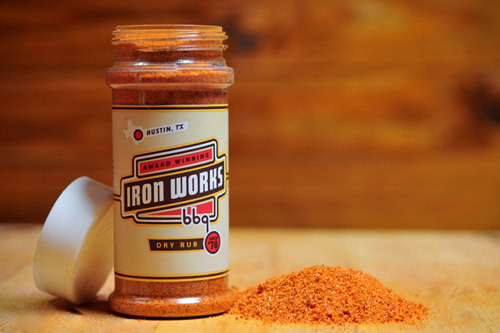 12-5.5 oz bottles of Iron Works BBQ Rub. The Iron Works BBQ gives you a little price break when you order by the case. What is better than one bottle of seasoning? How about twelve! 12-6 oz. 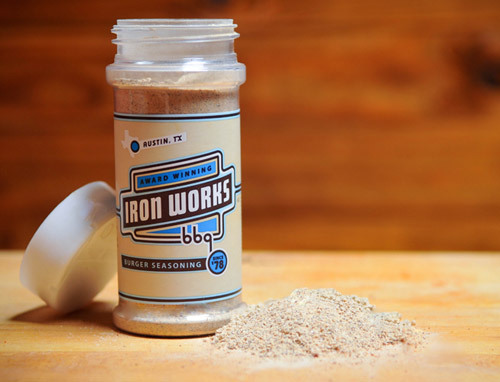 Bottles of Iron Works Burger Seasoning. 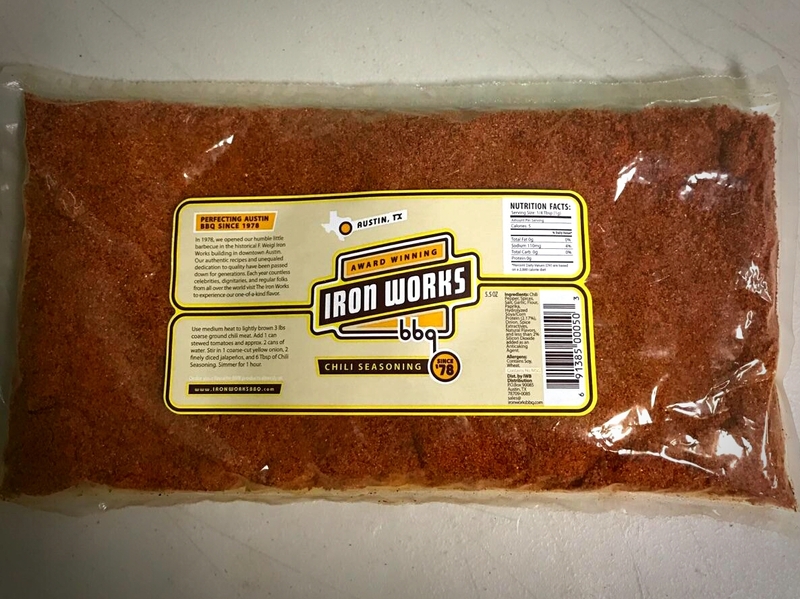 The Iron Works BBQ gives you a little price break when you order by the case. What is better than one bottle of seasoning? How about twelve!